6. 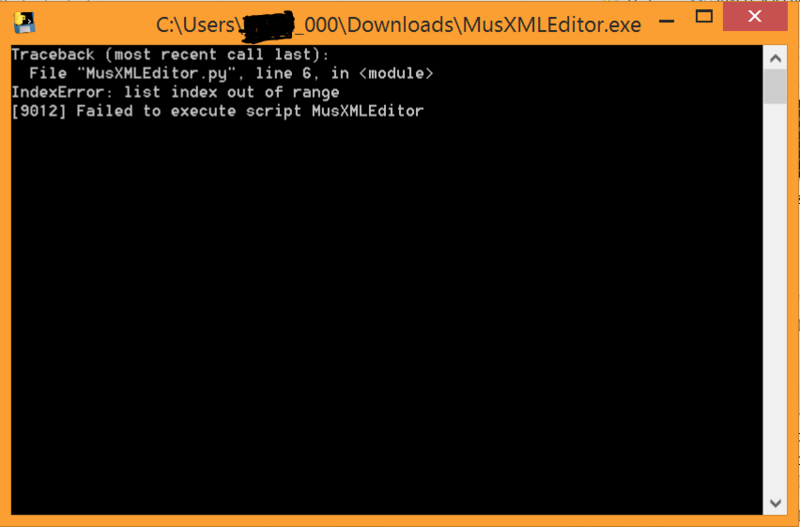 Drag-and-drop the xml in Finale Notepad. This is a GREAT way to help accommodate musescore users! Great idea, Tras! Someone sticky this or something! Stickied because !!!!!! Tras, you've gone above and beyond with this! So does this go musescore -> finale or finale -> musescore? Or both? If you're going to further update this program, I'd suggest immediately focusing on subtitles on each page, copyright information, and page numbers, because those (besides the measure numbers you already added in) are the only things a MuseScore user can't get in the MUS that's required for formatting. The uh... "Pno." thing could already be removed without any need for a program, btw. Those'd be hard though, because the way MuseScore sets up those bits of text is different from Finale. Impressive what you've done so far regardless. I've got this problem when trying to run the exe. Yeah, that's one of the (too many) mistakes I usually make. Yeah, that probably will be harder, but I'll try. That's because you're supposed to drag-and-drop a .xml on the exe, not double-click it. -This version adds page numbers. However, their positions are hardcoded in the script (I copy-pasted (with some minor edits) the page numbers thing from another xml exported by FInale), so they won't always be accurate. However, you can move them in Finale Notepad, so that shouldn't be a problem. This is great! Thanks for the effort to make the Musescore-Finale transition easier.